IRBID, Jordan (BP) — A warm breeze whips sand around cars creeping down the main street of Irbid, Jordan. A man gestures to catch the attention of a carload of Americans, then lays his hand over his heart. “Once she brought light to all the floors of her apartment complex — she bought light fixtures for every floor out of her own money,” he said. Ava Thomas is a writer and editor in Europe for the International Mission Board. 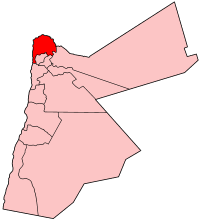 I knew a Christian teacher in Irbid, but she had lived there for years and was married to a Jordanian. I hope she is not the same person? As I understood it, she was the only Western person living longterm in Irbid. Can anyone let me know?